This branch is currently contained in the main ros2.repos file of ROS 2 and can be used for ROS 2. The latest release will be available with your ROS 2 download. ROS 2 does not have a wiki yet. To learn about RViz and its functionality, please refer to the ROS RViz wiki page. These features have already been ported from ros-visualization/rviz to ros2/rviz. The basic documentation can still be found on the RViz wiki page. For some displays, the documentation is updated. These features have not been ported to ros2/rviz yet. In case you wished to see those features in RViz for ROS 2, feel free to add a pull request. Make sure to read the developer guide below and the migration guide. In RViz for ROS 1 the frames transformation library used is tf2 (detailed information about it can be found here). In RViz for ROS 2 the frames transformation library is now pluggable, meaning that different transformation library plugins can be loaded and changed dynamically in the gui. Developers can create and use their own plugins to provide custom transformation behavior. Two plugins are bundled with RViz: - a plugin for tf2 (TFFrameTransformer, in rviz_default_plugins), which provides the standard tf2 functionality and which is used as a default - a trivial plugin (IdentityFrameTransformer, in rviz_common), which always performs identity transforms. This plugin is used by default if the tf2 plugin is not available and no other valid plugin is specified. As anticipated, in order for the user to choose the plugin to use, RViz provides a dedicated panel: the Transformation panel. Note: Not all transformation plugins are necessarily compatible with all RViz displays (e.g. some of the default displays, like the TF display, can only work with tf2). In order to take this possibility into account, the TransformerGuard class is provided. Adding it to a display ensures that the display will be disabled and won't function in case the wrong transformer is used. More detailed information on how to write a transformation plugin and on how to handle transformation specific displays can be found in the plugin development guide. The simplest way to build from source is to use the official installation guide, since RViz is part of the official ROS 2 repos file. When developing for RViz, it can be beneficial to build it in a separate workspace. Note: When building the current ros2 branch from source, the latest ROS 2 release for all dependencies might not be sufficient: it could be necessary to build the ROS 2 master branch. Make sure to have a source build of ROS 2 available (see installation procedure above). The --merge-install flag is optional but ensures a cleaner environment which is helpful for development. More instructions and examples to come. In addition to the ROS 2 Developer Guide we suggest the following. Main rationale here is to create code that can be well tested by avoiding highly coupled components. Avoid free functions (cannot be mocked). Use only the interface in the dependent code. Specify dependencies as a constructor argument. Prefer std::unique_ptr for storing the dependency instead of a raw pointer. When migrating from ros-visualization/rviz to ros2/rviz, please see the more extensive migration guide. More information on writing plugins can be found in the plugin development guide. 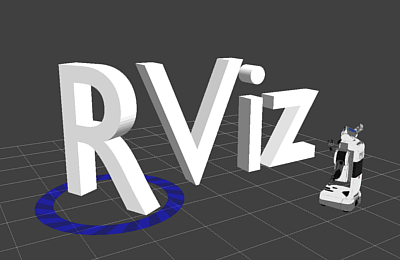 rviz is a 3D visualizer for the Robot Operating System (ROS) framework. rviz is a 3D visualiazer for the Robot Operating System (ROS) framework. This branch is still under construction and is targeted for ROS 2 and/or ROS 1 M-Turtle. Currently the latest release (beta3) is not sufficient to build rviz so you need to build the ros2 master from source. There will be a setup.bash file from your ros2 build you can source. The current state of this branch requires a from-source build though. Note Make sure to install all dependencies in either 32 bit or 64 bit version and do not mix. This setup was tested for Windows 10 x64.